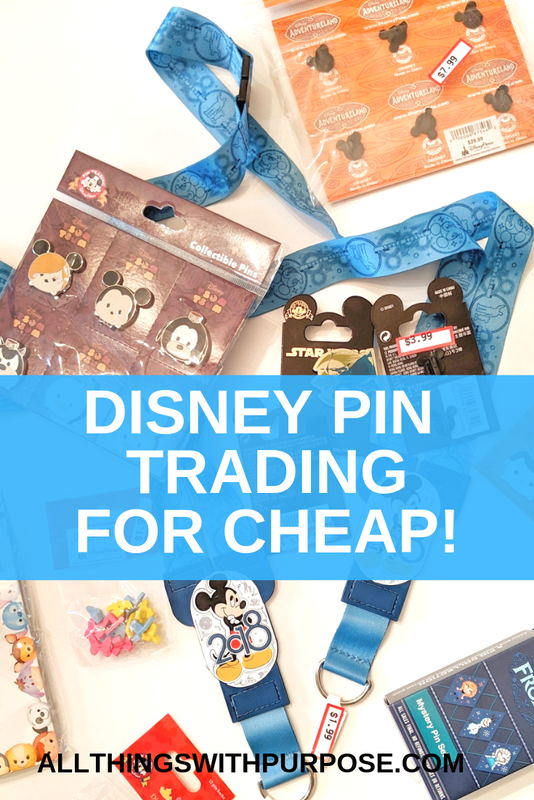 If you’re anything like us (you love Disney, but you’re on a budget), you may have heard about this thing called “Pin Trading” but assumed it was expensive and never got into it. I’ve been going to Disney World since I was a very young child and have always seen people wearing lanyards covered in Disney pins and really didn’t think twice about it. I assumed it was another souvenir type thing that could easily drain your precious vacation fund. 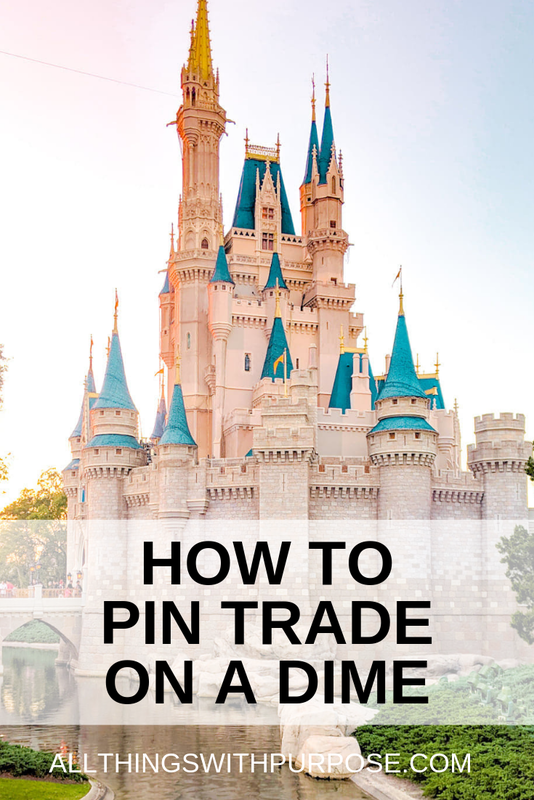 I’m here to share with you how to do some Disney Pin Trading the cheap way! This past Spring, while we were at Disneyland in California, we kind of accidentally fell into the world of pin trading. We stopped for just a moment at a booth selling pins and fell in love with how adorable they all were! I realized quickly how much money we could spend on pins for five kids, so we only bought a couple. Each kid picked out a couple that they really liked and pinned them to their backpacks (since I was too cheap to buy a lanyard!). 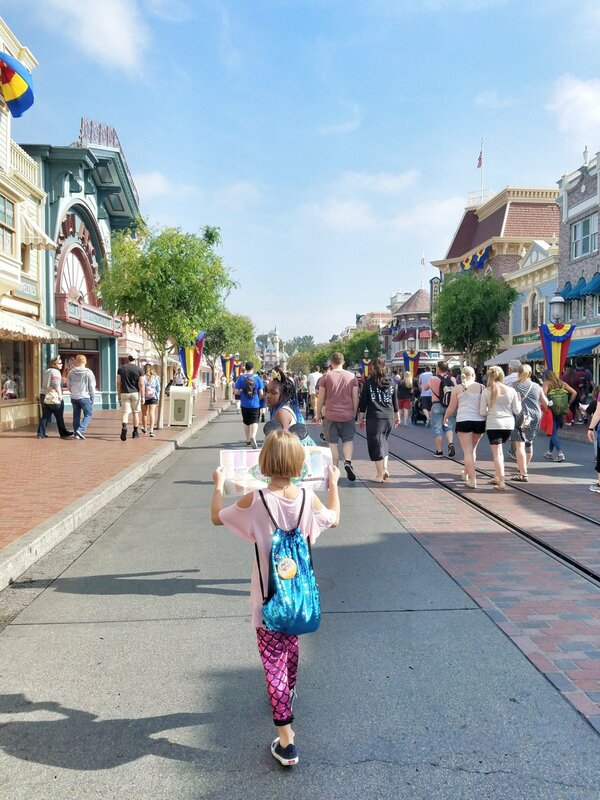 We had so much fun learning how to trade with just a few little pins, it opened a whole new world of Disney fun that we had been missing out on! I realized that this would be a fun thing to continue, but I decided I needed to learn how to do it inexpensively. 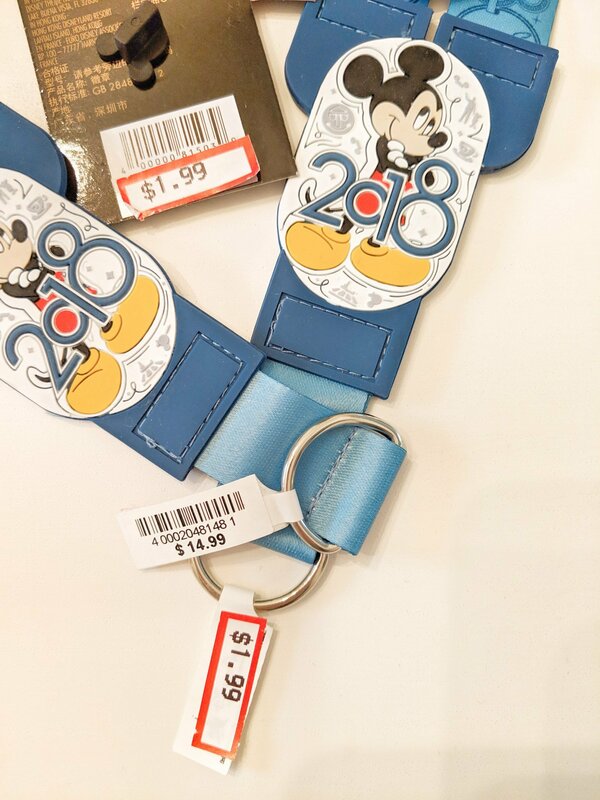 You must buy official Disney pins (no knock-offs). An impostor will be easy to spot! Cast members all have pins that they have to trade, so if you see a pin you like, ask a cast member politely to trade with you! 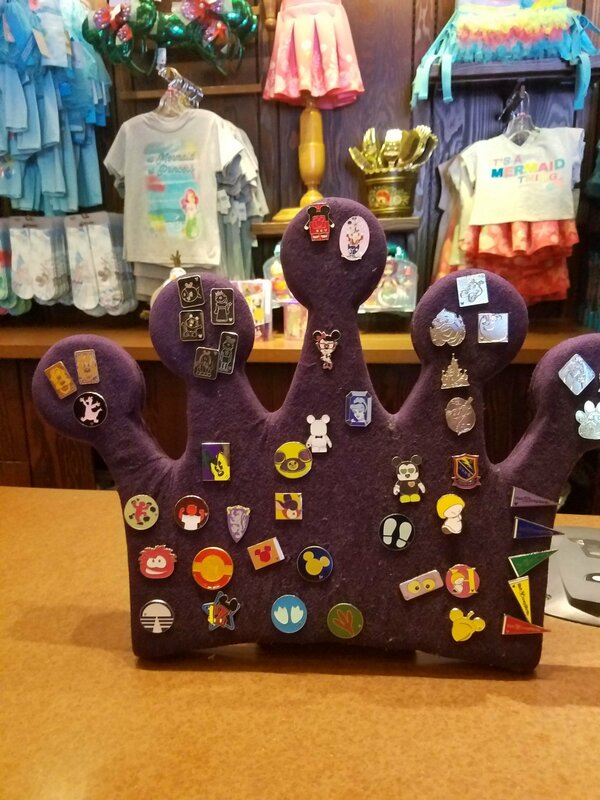 Regular people (non-Disney employees) can be very serious about their pin collections. We saw lots of people setting up shop with their large binders full of pins. These people may not be as interested in pin trading with children. 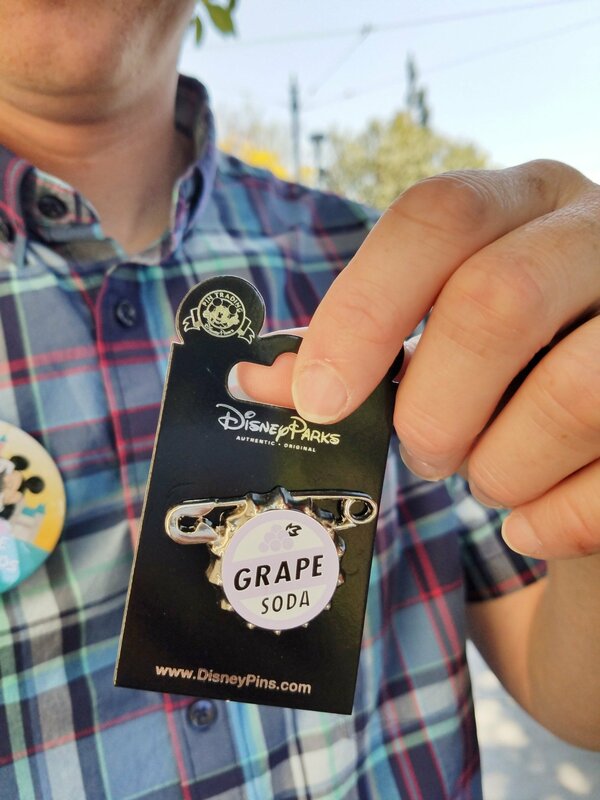 Many Disney shops and carts throughout the parks have little stands close to the register with pins that you may trade with! These are like the cast member pins and they have to trade, they cannot refuse. Point to the pin you would like to trade, do not grab it! If the person chooses not to trade, that’s OK. Here are a few of the places we have found to find inexpensive pins! You do not have to like the pins you buy since you will be trading them! Buying a cheap pin that you don’t like will make it easier to part with! By far the best place we found to have awesome prices on pins! Check back daily as their stock will change. We found individual pins for as low as 25 cents and large sets that were originally 29.99 marked down to 7.99! It is hit or miss, but we have found an occasional deal on pins at the Disney Store in our local mall. If you keep an eye on their clearance rack, they will occasionally have some good mark-downs! Keep your eye on Ebay for other collectors that are looking to sell off some of their pieces. Be cautious, however, make sure what you’re buying is authentic! I have had great success finding what I’m looking for on Facebook Marketplace. 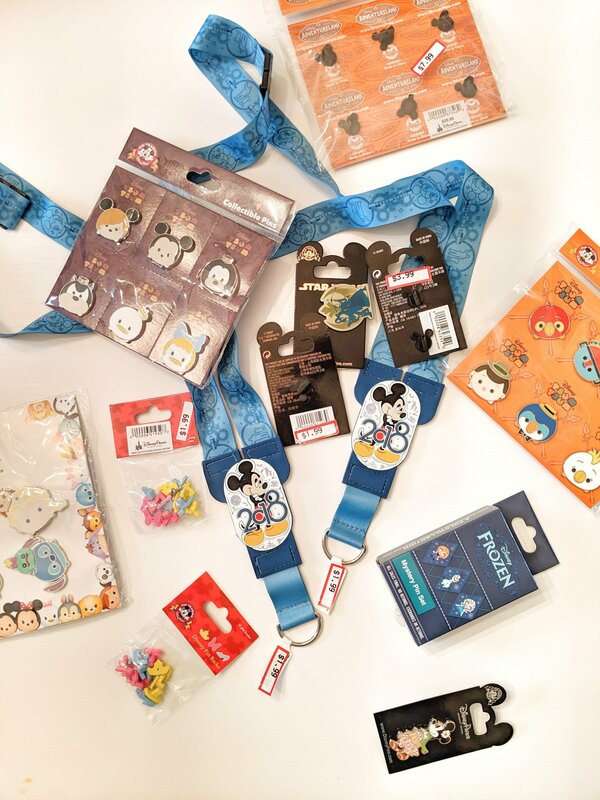 You may also want to try a local buy, sell and trade group or Disney pin trading group! 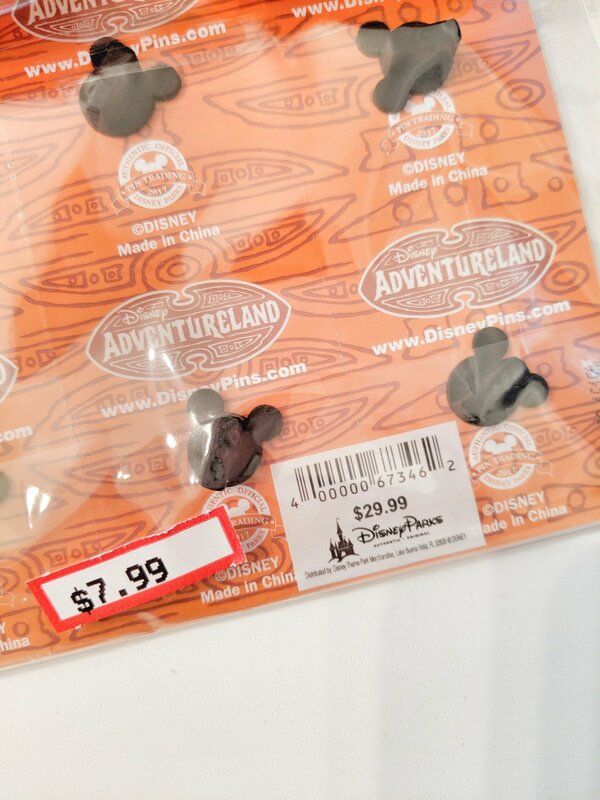 If you’re at a Disney Park, keep in mind that the boxes of pins or large sets are the cheaper way to go. When you buy more pins at a time or get a “mystery set” you will usually pay less per pin than buying them individually. Now, where to display your pins or how to wear them? The good news is, how you display your pins is totally up to you! 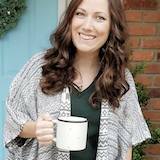 The lanyard you use does not have to be authentic, which opens up a world of possibilities. 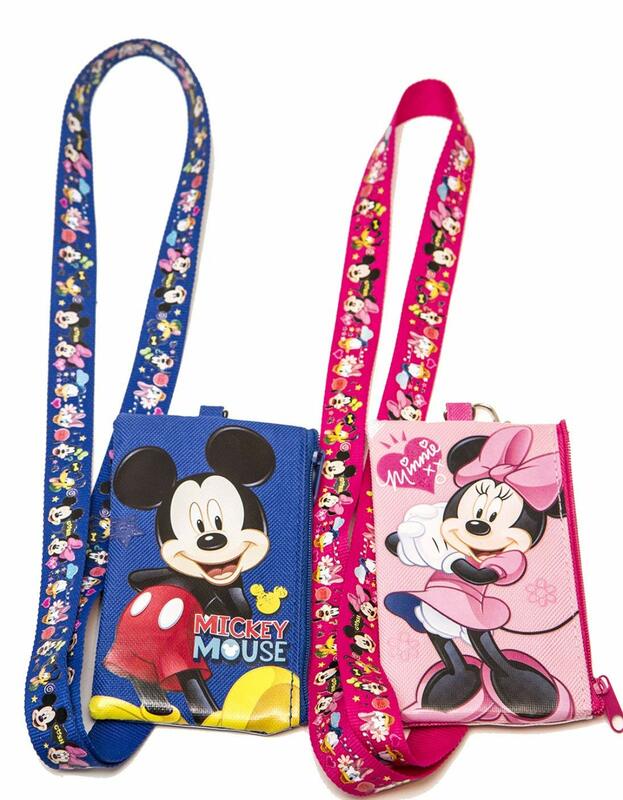 I found a great deal on lanyards at the Disney Character Warehouse, but you can also find some great options on Amazon!